It costs $US9,000 and will be available in June, but other accessories like a battery pack and mobile cart that lets you cart the Surface Hub 2S around an office don’t currently have a price tag or release date. Microsoft unveiled on Wednesday the Surface Hub 2S, a $US9,000 50-inch touchscreen TV with a computer inside that runs on Windows 10. The company also unveiled an 85-inch model of its existing Surface Hub 2, larger than the original model. 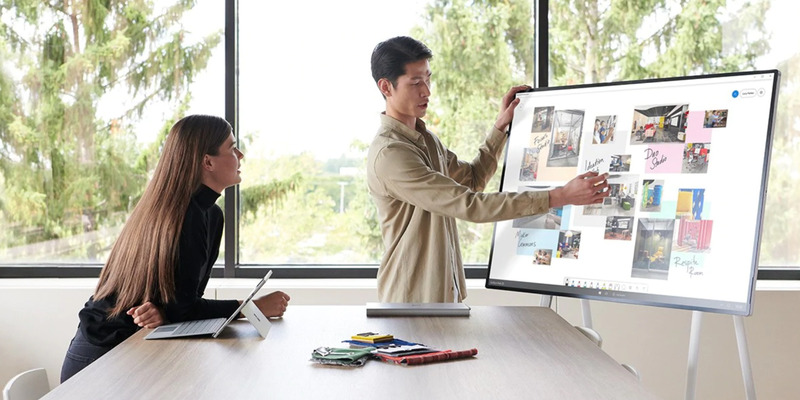 There’s no price tag yet for the 85-inch Surface Hub 2, but the company says it will be available in 2020.